Are Trucking Companies Going Green? And 15 percent of supply chains are rewarding these efforts with good sustainability performance. However, not all the news is good. Some big-name corporations don’t consider trucking as a long-term, sustainable form of transportation. Two examples are Kraft Foods and Unilever. Kraft Foods wanted to reduce the amount of miles from its global transportation network, and it did so. From 2005 to 2010, they successfully eliminated 60 million miles of transportation, and they hope to cut an additional 50 million miles by the 2015. Unilever also wants to reduce the impact of carbon emissions from its truck fleets. It hopes that by 2020 the CO2 emissions from its global logistics network will be at or below 2010 levels despite significantly higher volumes. This will represent a 40 percent improvement in CO2 efficiency. Unilever plans to reach this milestone by reducing truck usage and using lower-emission vehicles, such as rail and ships. Despite the initial urge to eliminate trucks altogether, a growing number of businesses are taking an environmentaly responsible approach to trucking and making it part of their sustainable logistics plans. More than 100 companies now have hybrid trucks in their fleets. These companies include Pepsi, Coke, AT&T, UPS, Kraft and several more. Kraft Foods began using diesel-electric hybrid delivery trucks in 2009. The company projects the vehicles will use 30 percent less fuel compared to their traditional diesel-powered counterparts. The trailer is made from carbon-fiber, reducing 4,000 pounds of weight. This allows fleets to carry more freight. Advanced aerodynamic design (a 20 percent improvement from current models). Electronic dashboard with customizable gauges and performance data. Next-gen LED lighting that is energy efficient and less prone to damage. It seems that big-name corporations aren’t the only ones taking part in the sustainable trucking trend. Smaller companies and cities are doing the same. For example, the Department of Sanitation in DeKalb County, Georgia, plans to power its garbage trucks using the very trash they haul to the landfill. Although that may not be a viable option for a lot of trucks, there are other ways small companies are reducing their carbon footprint. Investing in side skirts, cab extenders, aero bumpers, mirrors and roof caps help increase heavy haulers' MPGs. The additions to the truck aren’t cheap, but they are a long-term investment for smaller companies that help save them money in the long haul. There are several ways a sustainability program can help with cost savings. According to the Environmental Impact Initiative, going green can also boost profitability all around by opening up new markets and keeping a business ahead of regulatory changes. As governments crack down on emissions and corporations strive to meet their sustainability efforts, supply chain vendors will prefer (and pay more) for OTR bidders that offer green certification and accountability measures like the U.S. EPA’s SmartWay or Responsible Care. These programs can mean the difference between expanding your accounts, or losing business to certified competitors. Yes, we all work and do business to make money, but is money the most important thing in the world? Isn’t Earth itself more precious than money? According to the United Nations Intergovernmental Panel on Climate Change (IPCC), humans can mitigate severe natural disasters if we reduce our carbon footprint and slow the process of global warming to a maximum of 2 degrees Celsius. “The scientific message is clear: To avoid dangerous disturbances to the climate system, we can’t go on as we have done before,” climate researcher Ottmar Edenhofer said. In fact, the IPCC concluded that in order to secure a viable future for living, we need a minimum 40 percent reduction in CO2 by 2050. OTR truck driving is going to increase in the coming years, but it's time for businesses to take charge and reduce their carbon footprints before we cause a bigger problem. 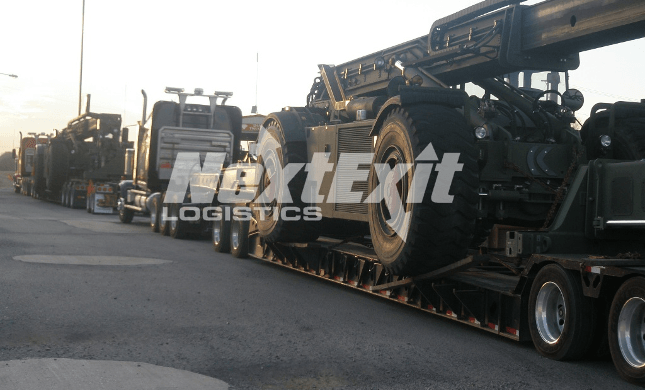 Chandler Magann is the president of heavy-haul trucking company Next Exit Logistics. Contact him via the company’s website or at nextexitlogistics@gmail.com.